The teacher in me finds great pleasure and satisfaction in writing lists. Be it the fairly boring 'to do' list, or the significantly more exciting 'to buy' list... to the incredibly dangerous 'I wish' list. 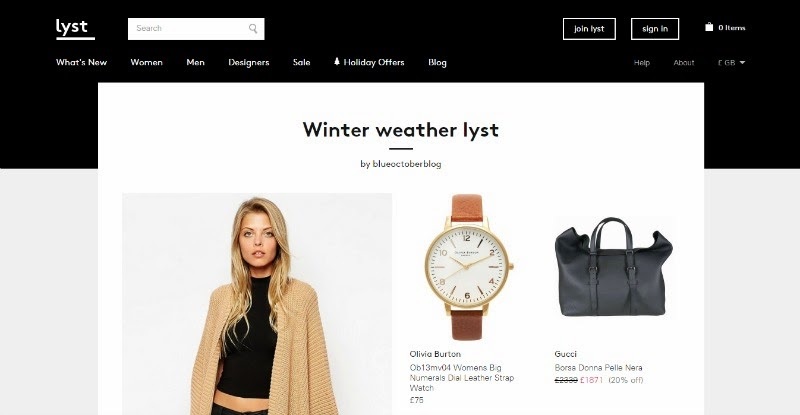 Lyst covers it all - a site which allows you to create wishlists with brands from high end to highstreet, all in one place. I'm one of those people who in reality isn't particularly good at putting outfits together, and love tools like these for getting inspiration and styling tips. Lyst is super easy to navigate – once you find a lust-worthy item (it won’t take long, promise!) you are just the click of a button away from adding it to any one of your lists. Be it winter warmers, gift ideas, holiday garms or something for the fella. It really is so simple and user-friendly, no faffing around with complicated boards or images here! As I say, I love the idea of making mood boards - I could easily kill hours looking through and creating looks. 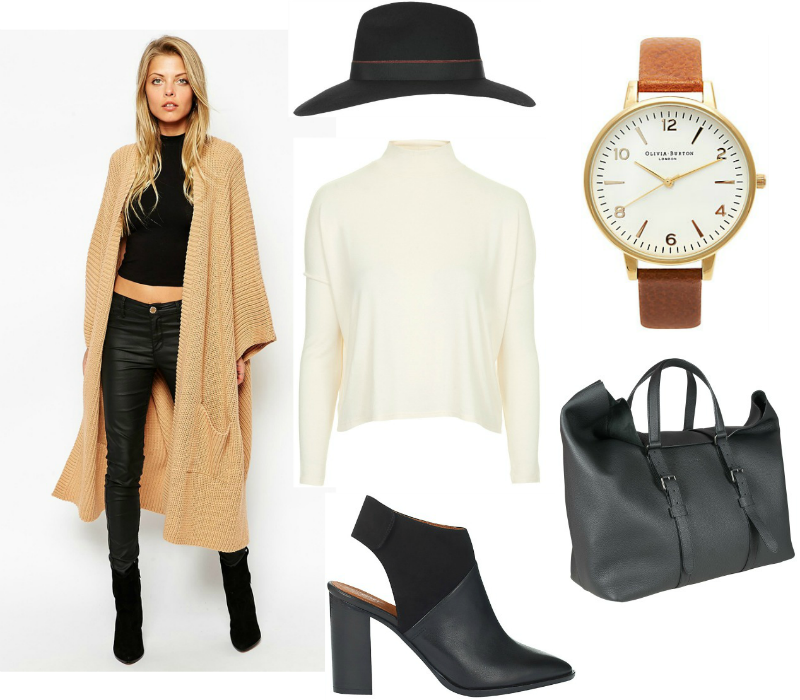 My winter weather lyst is made up of soft knits, buttery soft leather and flashes of caramel tones. The Gucci bag just makes me swoon. And those boots! Insert smitten face here. The good news is your lysts can be as expansive or as selective as you like. This above is more of a specific outfit, but you can really go to town with huge great lysts. I can foresee this being entirely addictive... and damaging for the 'house buying' fund. On a slight aside - what are we thinking about long cardigans? Are they making a comeback?